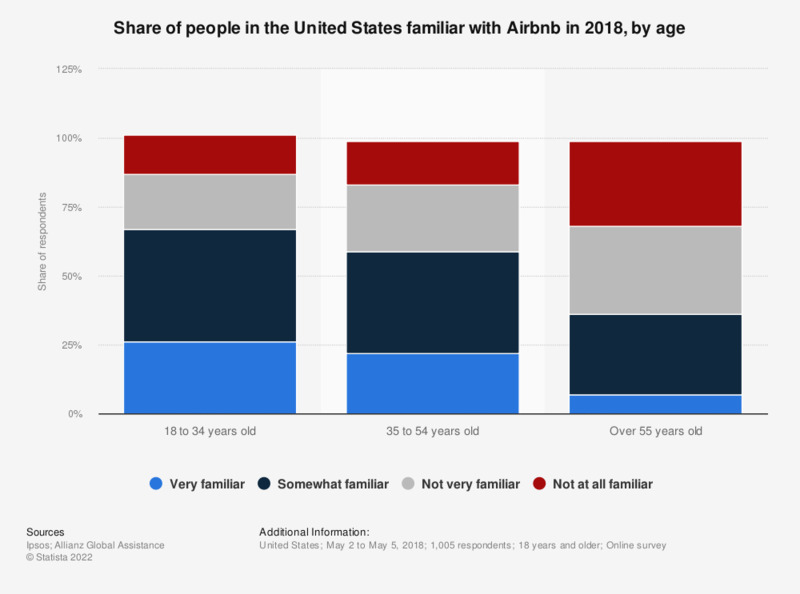 This statistic depicts the percentage of people in the United States who are familiar with Airbnb in 2018, broken down by age. During the survey, 14 percent of respondents aged between 18 and 34 stated they are not at all familiar with Airbnb. Original question : "Are you very familiar, somewhat familiar, not very familiar or not at all familiar with the following sharing economy services used for traveling? - Airbnb".